I wanted some for the holiday season for the fridge at home, and these are stupid easy. 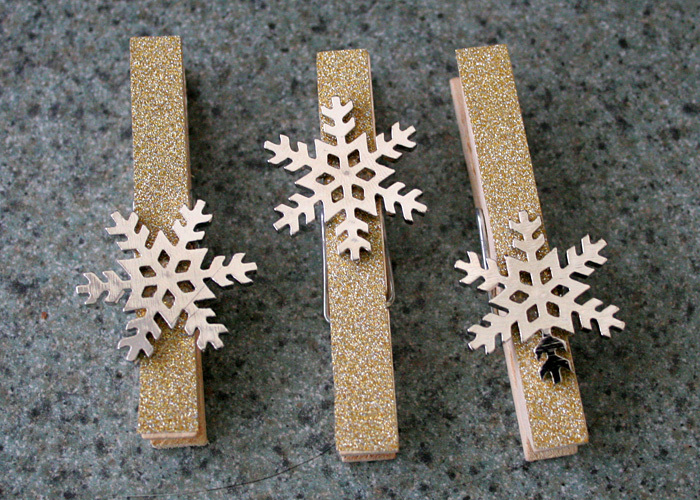 The glitter tape means there’s no mess of trying to paint the clothespins with glue and then dusting with glitter (which IS the herpes of the craft world, in case you’re not aware. That ish gets everywhere and it’s a nightmare). Apply tape to pins and trim. I found that if I line the tape edge up to the side where the metal spring is close, I can cut easily along the opposite side and still have enough to cover a 2nd of the small pins. With the large pins I just trimmed and threw away the excess. 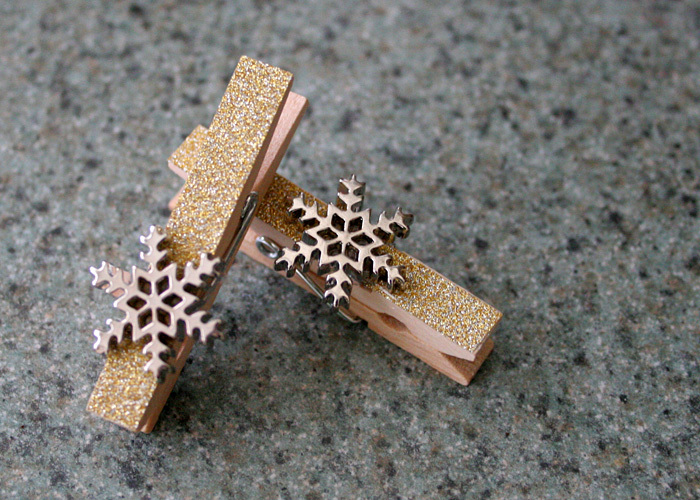 Glue on snowflake buttons. If using a hot glue gun, make sure you curse the fact that you bought a high temp one instead of the low temp version you saw at the store. Molten glue is hot, duh! Attach magnets… or not. You could just use them to string across some twine. Or wrap your holiday packages with ribbon and use in place of a bow. Whatever.